You’ve asked your customers a million times to review you online. You’ve gotten on all the popular platforms in hopes that more people would leave their opinion about your company but your efforts have no such luck. You’ve even emailed your customers and put little fliers into their shopping bags, but you still don’t have enough reviews to convince new customers to try out your business. So how do you ask your customers to review your company in a way that will actually get results? Here are 4 unique ways to ask your customers to review your company that just might get the results you’re wanting. of a very obvious real estate space: your coasters! People pick up their drinks repeatedly throughout their visit at your establishment. Instead of having blank coasters or coasters advertising someone else’s business, why don’t you have them advertise reviews for your business? Get a cool coaster design that asks for a review and list your review platforms. Customers will see your request each time they take a drink and maybe, while they are waiting for their next order, they’ll review your company online. 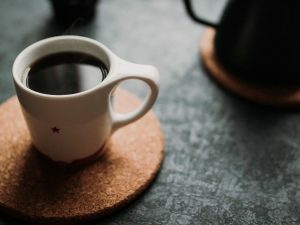 Maybe you don’t own a restaurant and don’t have any need for coasters, but there are still tons of ways to ask for reviews that won’t be easily forgotten. Have you ever received a free pen from a company? You carried it around and used it until you eventually lose it, but each time you used it you saw the company’s name, phone number, and website. Well, it’s time to employ the same technique with a little twist. Your customer already knows about your establishment- that’s why they’ve bought stuff from you. Since you already have customers coming through your business- you don’t need to advertise your location or phone number, you need to ask for reviews. Choose a few items that fit your brand and your customers’ tastes and have them printed with a simple “Review Us On ____” then list the platforms. Drop the well-designed item into the bags of shoppers and let them be reminded each time they use it to review you online. Promotional items with a request might just have your review section flooded. We all know how many hours each of us spend staring at our screens is ridiculously high (we’re guilty too!). While we mostly use them to watch shows and movies, the digital screens around your establishment can be used to your advantage as well. It’s time to put those screens to work by having them ask for reviews. Digital signage is a trend that many businesses are now taking advantage of as it’s the perfect time to advertise to your customers while they are waiting for service. Whether they are standing in the check-out line or sitting in the dentist chair, a well-positioned TV with a review request as part of the digital signing message could end with your company getting a multitude of reviews. Nowadays, people use their phones for everything, and texting happens to be the preferred method of communication for most people. So, why not communicate with your customers in the way they would want? 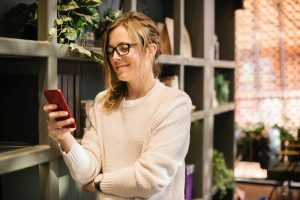 Asking for a review through a text message is not only a good way to reach customers on their own time but it also makes it super easy for them to review you as well. People are usually already signed into all their accounts on their phones, so a simple click to add a review from their phone takes less effort than on the computer. The easier it is to leave a review, the better the chance that they will actually do it. Whether you catch your customers off guard with a branded coaster or a text message, asking for reviews from them is a critical step in gaining new customers. The more reviews you have, the more potential customers will see your brand and maybe convert to your customers. Call Kydos! today if you would like help in gaining new reviews by drawing your customers in with unique advertising. We’ll help you get the reviews you need in a way that will wow your customers.